Today, some of the largest and most successful companies in the world trust ORR to service and maintain their fire systems. Those same companies protect their most valuable assets and mission critical processes. In fact, over the past three and a half decades, ORR’s service team has and continues to provide unmatched performance when it comes to Testing, Inspecting and Maintenance of your fire systems. ORR Technicians are cross-trained at ORR University to Test & Inspect your fire system no matter the brand. 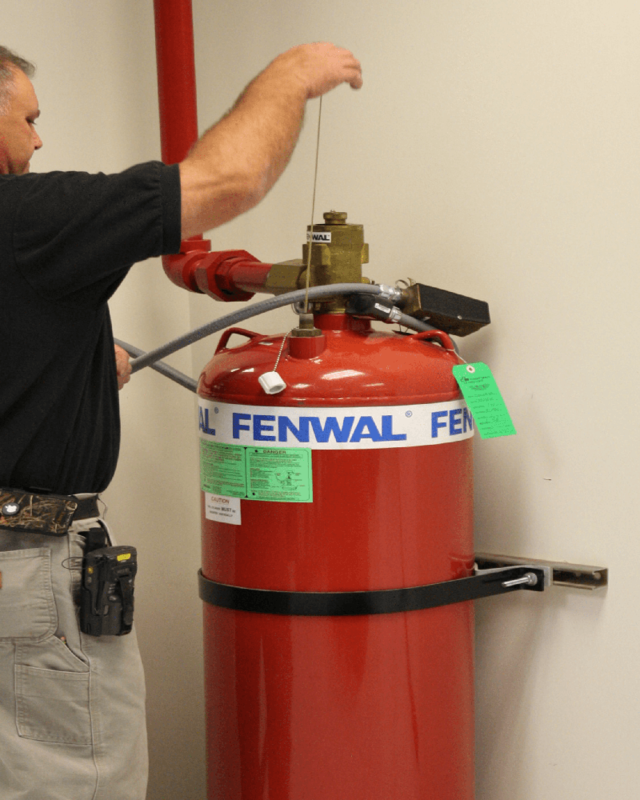 Whether it is Fire Alarm or more complex Clean Agent Fire Suppression System, our team of technicians can handle it. Continuing ORR's reputation as a technology innovator, we were a very early adopter of offering online reporting by creating our own proprietary reporting software for our customers, NetSITE. Reduces your department record keeping workload. Reports for any system, at any facility. ORR University, along with ISO 9001:2015 Quality Standards, ensures that our field technicians are trained to meet local, state, and national fire codes. ORR has the capacity to manage all of your fire systems wherever they may be located through one service coordinator. This ensures consistency, work flow efficiencies (Less coordination on your part), and significant time and money savings. In any operation, the quality of the work completed is significantly impacted by the skill of the individual performing the work. At ORR, all of our operations, from sales, to design, to project management, to back-office, to service in the field are structured to meet ISO 9001:2015 Quality Standards as overseen by Quality Management System (Certificate No. 17-096053.1Q).